1. FACEBOOK ROLLS OUT ITS NEW "PRIVACY SETTINGS"
2. 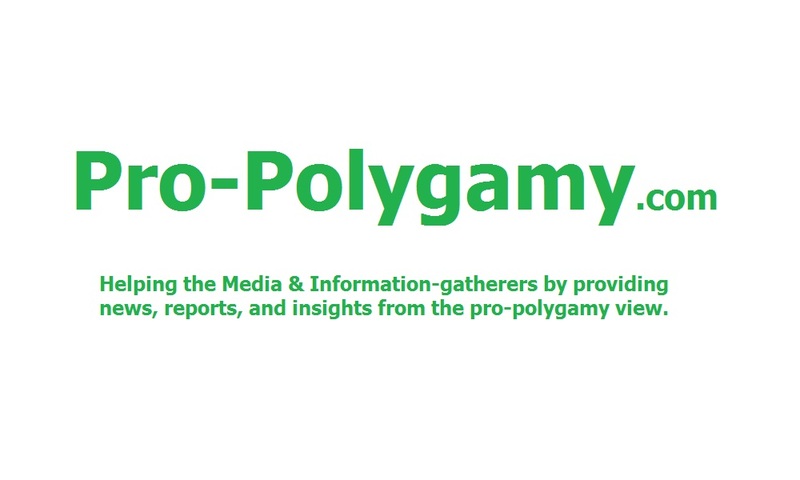 POLYGAMY MOVEMENT'S "FACEBOOK EXPERIMENT"
4. FACEBOOK MAKES TWO SUPPOSED "CONCESSIONS"
The social networking site, Facebook.com, with its reported 350 million users, has presented itself as being an important tool for activists to safely organize and fight for their freedom from governmental tyranny. Late on Wednesday, December 9, 2009, asserting an intent to protect its users' privacy, Facebook rolled out its new "Privacy Settings." However, the unilaterally altered settings publicly exposed the very-private lives of pro-polygamists organizing for their freedom from tyrannical government. That mass public exposure breached the online agreement with users who had trusted and acted on both, Facebook's online past-promises that users could protect their privacy, and Facebook's marketing that it is a safe tool for activists. For the national polygamy rights movement for consenting adults, these new "Privacy Settings" instantly became identified as "Facebook's Anti-Privacy Settings." 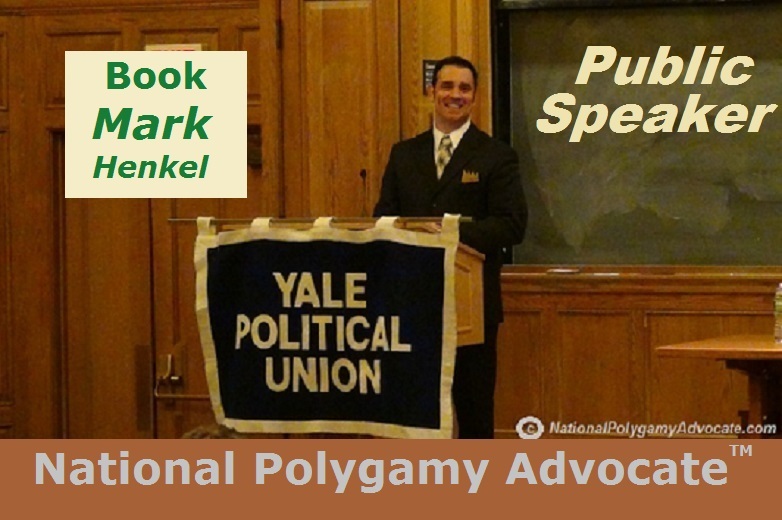 Only four months previously, the National Polygamy Advocate, Mark Henkel, had reluctantly assented to recommendations - from within the TruthBearer.org organization (that he had founded) and from media contacts - that he open a Facebook account. The two options were to create either a "Public Figure Fan Page" or a private profile account with "Facebook friends." The first option - a Facebook "Page" - offers rather limited usability because it publicly lists all who join it as "Fans." It also lists that "Fan Page" on each "Fan's" own user account profile. Hence, most actual pro-polygamy activists would feel too unsafe to join such a public "Fan Page," openly identifying them as "Fans." Although anyone can re-visit a "Fan Page" daily for news without becoming a "Fan," it otherwise offers no privacy for "Fans" whatsoever. The second option - a private profile account with "Facebook friends" - was considered for use instead. The one condition upon which Mr. Henkel was willing to even open the account was Facebook.com's assurance that a "Friends List" could be completely hidden from everyone and from every application. This level of promised privacy was essential for the safety of all of the very private pro-polygamists and media contacts to be able to confidently "Facebook-friend" the media-recognized National Polygamy Advocate without fear of anti-polygamists' reprisals. Facebook.com had assured the online promise that that kind of privacy would be protected: "Friends Lists" definitely could be made totally private. With such an explicit website-promise from Facebook.com, Mr. Henkel thereby assented to opening a new account in August, 2009. Within the TruthBearer.org organization, this was called the "Facebook Experiment." Four months later, it proved to be an experiment gone horribly wrong. On early Thursday morning, December 10, 2009, Mr. Henkel reportedly logged in to the said Facebook account. Like many of the users that day, he was confronted with Facebook's new "Privacy Settings" being imposed. Although the new changes offered many more controls for selecting individual privacy-levels throughout an account, Facebook had also re-categorized a new subset of the account's information as "Publicly Available Information" - labeled as, PAI. Facebook's website defined this PAI category: "A basic set of information is publicly available, meaning it’s visible to anyone that’s able to navigate to your profile, applications you use on Facebook, and websites you connect with via Facebook. This information includes your name, profile picture, gender, current city, networks, friend list, and Pages." Accordingly, with this new category of PAI, Facebook utterly broke its past-promises protecting privacy. To the horror of the national polygamy rights movement for consenting adults, Facebook had made Mark Henkel's "Friends List" public. Making the matter worse, Facebook’s new changes even prevented any possibility of hiding that "Friends List" from the general public. Consequently, Mr. Henkel immediately notified and deleted the private "friends" on his "Friends List." For the safety and privacy of the polygamists, activists, and media contacts on the list, there was no other available solution. Facebook had clearly become dangerous for many activists trusting it for use in the struggle for their freedom from governmental tyranny. Pro-polygamists were not the only users harmed and alarmed by this violation of Facebook’s past-promised privacy agreement with the public exposure of "Friends Lists." Indeed, this breach had incited a mass outrage. On Facebook.com's Help forum, numerous users - en masse - began posting extremely angry opposition to the new privacy violations. Very quickly, Facebook responded by offering its first "concession:" users were then being allowed to de-select the visibility of a "Friend’s List" from being visible to non-"friends." However, that first "concession" was obviously insufficient. User outrage continued and more and more news reports started being published about the privacy breach on that same first full day of the "Privacy Settings" rollout. Users were demanding that Facebook give back complete control to hide their "Friends List" from everyone, including the ability to hide it from "friends" on their own "Friends List." The second "concession" was offered on that very same evening. The Facebook company blog reported, "UPDATE on Thursday, Dec. 10: In response to your feedback, we've improved the Friend List visibility option described below. Now when you uncheck the 'Show my friends on my profile' option in the Friends box on your profile, your Friend List won't appear on your profile regardless of whether people are viewing it while logged into Facebook or logged out. This information is still publicly available, however, and can be accessed by applications." Although that second "concession" appeared to be a positive step in the right direction again, pro-polygamists perceived that Facebook may have even pre-planned on making these two supposed "concessions" as part of the marketing plan for the new settings. The second "concession" could actually mislead many users into a false comfort that their "Friends Lists" were supposedly no longer visible. However, that seeming invisibility did not mean that the "Friends Lists" were actually ever going to be private and protected again. Hence, pro-polygamists perceived that, with the seemingly pre-planned "concessions," Facebook may have been trying to obtain the marketing benefits of users incorrectly thinking that they had protected the privacy of their "Friends List," and that Facebook had supposedly even been “gracious” about making the "concessions." Yet, with all cleverness, Facebook was still achieving the actual intention of still giving unknown application developers hidden access to all "Friends Lists" anyway. Indeed, the very last sentence of that official blog statement subtly revealed the two fundamental points of Facebook’s continued intention to still do exactly that. First, it declared that Facebook still categorized the "Friends List" as PAI. Second, it subtly re-iterated that Facebook will still let Applications ("Apps") - the games and tools created by unseen, unknown independent developers - to have access to the "Friends Lists" and to all information now re-categorized as PAI anyway. Facebook has never hidden the fact that Apps would definitely have new access to such PAI. Again quoting from Facebook.com, "Publicly available information is visible to people visiting your profile page, and Facebook-enhanced applications (like applications you use or websites you connect to using Facebook) may access this information." Before Facebook rolled out the new "Privacy Settings," when a user's "friend" used an App, the user used to be able to deny the App from gaining access to any of the user's private information. But with the rollout of these new settings, for items in this new category of PAI, that option became no longer available. Under the new "Privacy Settings" changes, when a user now proceeds to set their own account’s Privacy settings for "Applications and Websites," Facebook now provides the following clarification: "If your friend uses an application that you do not use, you can control what types of information the application can access. Please note that applications will always be able to access your publicly available information (Name, Profile Picture, Gender, Current City, Networks, Friend List, and Pages) and information that is visible to Everyone." As such, as even the second "concession" revealed, Facebook was knowingly intending to continue violating its users' privacy. One week after the rollout, Facebook's private motivation for this seemingly intentional violation of its users' privacy may have actually come to the public surface. On Friday, December 19, 2009, Bloomberg Television reported that Russian foreign investors had made an increased private equity ownership investment into Facebook, Inc., pumping at least another $200 million into the company that same week. The report explained that the extra investment helped protect Facebook from rushing into any possible future Initial Public Offering (IPO) of non-private equity stock. Apparently, Facebook was actually having a "liquidity" crisis - i.e., an insufficient amount of cash and cashable assets on hand to pay its bills. So, the new private investment thereby thwarted the cashflow urgency which might otherwise have hastily rushed the company into a lesser-valued IPO. "'Any IPO should be business driven and not liquidity driven as the latter can be done through the private market,' Chief Executive Officer Yuri Milner said in a Bloomberg Television interview in Moscow." Hence, the Russian investors had stepped in to financially rescue Facebook, Inc. from its short-term liquidity crisis - immediately after Facebook had officially rolled out its new “Privacy Settings” for its reported 350 million users. For pro-polygamists, this timing-sequence strongly implicates the new “Privacy Settings” as a likely required condition from the investors, mandating that Facebook “sell out” its users’ privacy in exchange for the financial rescue for the “liquidity” crisis. Despite the accumulation of all these issues, Facebook actually markets itself as being a value to society, asserting that it is a critically important tool for political activists. The New York Daily News reported that Facebook representatives told PC World, "We believe that Facebook, as demonstrated during the Iran elections and events in multiple other countries since our inception, plays a critical role in allowing people to communicate, organize and stand up against oppressive regimes, and there is real value of connecting and sharing, which is what we're trying to facilitate." But pro-polygamists now believe that that bragging assertion is quite false - and that it might even be deliberate dishonesty. After all, the accumulating issues are quite egregious and extraordinarily serious indeed. Facebook violated its past-promised privacy for users and it exposed activists publicly. The two supposed "concessions" still remain insufficient and even appear as though they may have been intentionally pre-planned to make Facebook falsely appear “gracious.” Facebook still intends to expose "Friends Lists" to App developers. And the company's financial urgency to resolve its liquidity crisis points out its very-likely motivation for "selling out" its users' privacy. Hence, most pro-polygamists view Facebook's labeling of such anti-privacy issues as "Privacy Settings" to be no less than Orwellian doublethink - deliberate marketing propaganda using words that mean the exact opposite of Facebook’s actual intent. From the perspective of the polygamy rights movement's "Facebook Experiment," Facebook cannot be safely trusted by anyone fighting for freedom from governmental tyranny. To do so could now put one’s life in actual peril and danger. Indeed, activists of all political forms in any country have profound reason to be seriously alarmed. 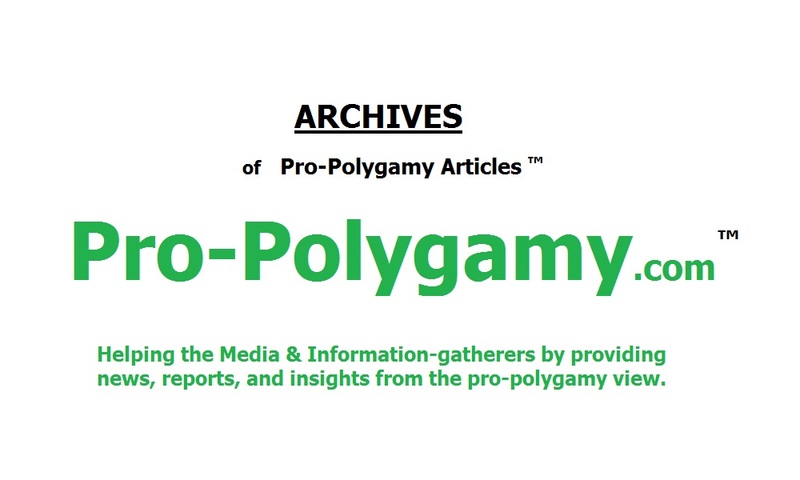 The national polygamy rights movement for consenting adults is simply another activist constituency whose past-promised privacy protection has been violated. Without absolute privacy protection fully restored and guaranteed, Facebook has become very dangerous for most private polygamy rights activists to confidently trust in the fight for freedom. Hence, pro-polygamists add their voice to the growing outcry of users opposing the privacy breach. As the polygamy movement's "Facebook Experiment" demonstrates, activists from all constituencies require an end to "Facebook's Anti-Privacy Settings."